The Schwinn 270 Recumbent Bike is an incredibly popular, well designed recumbent bike with many great features. 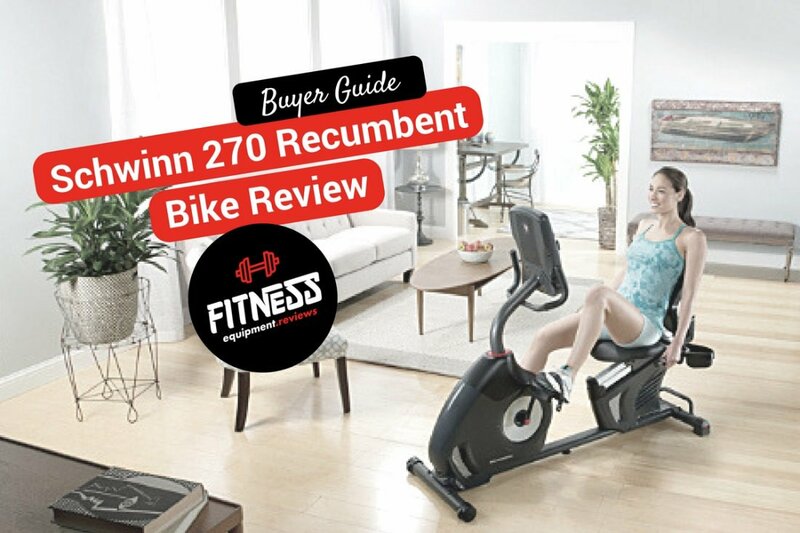 The following post will be a thorough review of the Schwinn 270 highlighting the key features, pros and cons and general thoughts of the recumbent bike. Recumbent bikes are increasing in popularity. They are a lot more comfortable than spin bikes or upright bikes which appeals to many users who want to get fit in a comfortable manner. Don’t underestimate a recumbent bikes ability to give a solid workout! This bike is packed full of many great features so lets take a closer look. 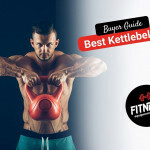 The 29 pre programs include (12 profile; 9 heart rate control (4 Beginner; 4 Advanced; 1 Custom); 4 custom user defined; 2 fitness tests (1 Beginner; 1 Advanced); 1 recovery test; 1 quick start). LCD displays time, distance and calories goal which can be tracked with USB data transfer and connect via the MyFitnessPal application. Built to last the Schwinn 270 Recumbent Bike is durable and strong. The frame is one piece which provides stability making the user feel safe and secure. There are 3 levers included, 2 under the rear seat and one in the middle of the frame which also contribute to the overall balance of the recumbent bike. Included with the purchase is a 10 year warranty on the frame, 2 years on mechanical parts, 1 year for electrical and 90 days on the labor. This bike is recommended for use by those who are in the height range 4ft 11 in and 6 ft 3 in. If you are outside of that range then please do try the Schwinn 270 Recumbent Bike to ensure it is a good fit. The seat can be adjusted between 19 in and 22.5in from the floor and it is very easy to adjust this. Underneath the seat is a lever which when pushed on releases the seat, it is recommended you are not seated in the seat when adjusting. Once you find the right position simply lock the lever back into position. 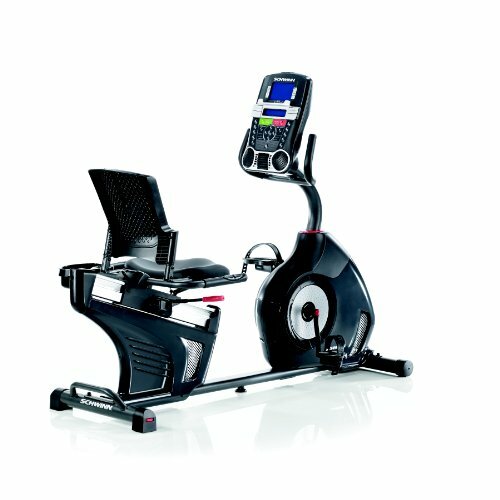 Featuring 25 levels of resistance the Schwinn 270 Recumbent Bike uses magnetic resistance. The machine is quiet and incredibly smooth to use. To control the resistance level simply use the 10 jump buttons on the console. By moving the resistance up and down the magnets move closer or further away from the flywheel and thus increase or decrease the resistance. The Schwinn 270 Recumbent Bike measures 50 in H x 27 in W x 64 in L and has a total weight of 86.6 pounds. Maximum user weight is 300 pounds. Overall the Schwinn 270 Recumbent Bike presents great value for money and is hard to overlook. It is fantastic for those who need a low impact yet comfortable and challenging workout. The recumbent bike can be used by those of all fitness levels and the resistance is easily controlled. The adjustability makes this bike very appealing as the whole family can use the machine. The only real negative response is that the pulse sensors can provide inaccuracies from time to time. Check out our comparison of recumbent bikes here.